Via Twitter - shared by @BillCorbett here. They've obscured Donald's Brother-in-Law, the father of Huey, Duey and Louie. Who is their Dad? We might never know. 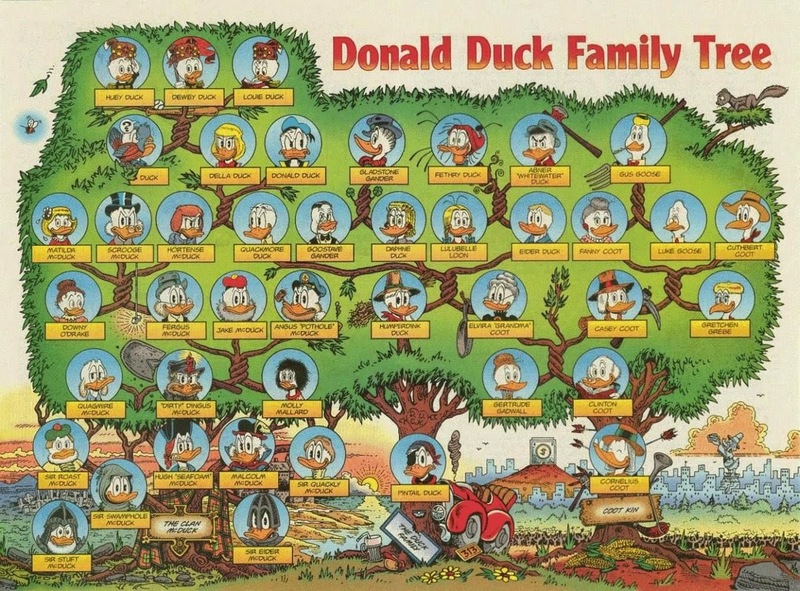 The Duck family intermarried with coots. I didn't know what a coot was! I always thought family trees went downwards. This one goes up. But, maybe that makes sense in that the elders are the 'roots' of the family? There's loads more things to notice and the commenters on Bill's Tweet do a good job. - His family has intermarried with geese. I make no judgement.